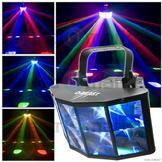 Light Show from subtle to eye popping color. Another New Light for the fall of 2011. 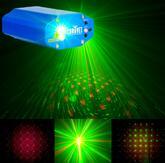 The Chauvet Min Laser FX is a great little laser for a light show to accent lighting. 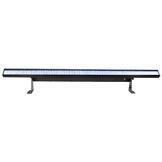 I have control over this unit from slow to strobing. 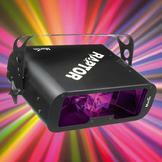 The new Color Strip Mini is an all in one light show or accent light for walls and building. With these lights I can light up walls, cake tables and anything to make your event one to remember. I offer up to 10 of these for 2011. 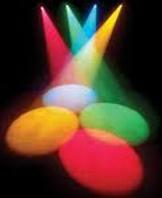 New 2011 additions to the setup, the chauvet color palette. 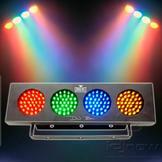 I now have 4 of these great fixtures for uplighting or they do a light show all on there own when facing a dancing crowd. 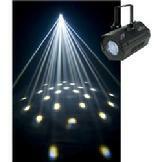 Check out my You tube page to see these lights in action. 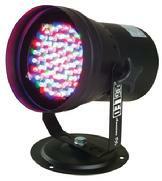 New for 2011 , 2 new Chauvet Techno Strobes RGB. 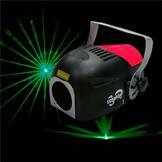 Great lights for a wall wash or a color strobe. I can wash an area with any color in the rainbow. 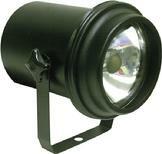 These fixtures can also strobe as well in any color. 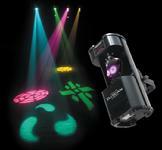 New for 2011 the Chauvet Shadow LED. 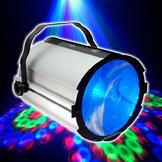 This black light throws out huge light onto the dance floor. 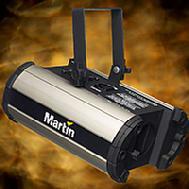 More led lighting in 2011 to make my lighting the best in the area. 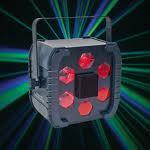 These self contained mini light show are great basic lighting for any event. 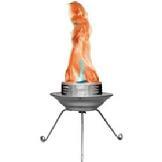 I now have 4 of these for 2011 and they can be a great way to add a little action to your event. 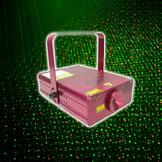 The Raptor is a powerful mid-air performer that creates a dynamic, eye-catching show with more than 70 ever-changing light beams. 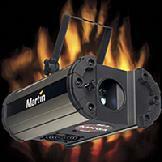 The Mania DC2 is a decoration tool which projects sensational images of flickering flames - turning up the heat at any show, club or party. 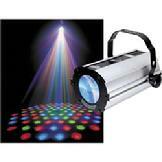 Lighting can be a great way to accent your event or can be so intense that the party come alive. From weddings to schools my lights will fit any event. 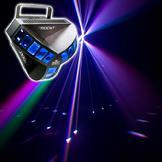 My lights never miss a beat !